Want A Sarah Richardson-Designed Room? Well, you better hurry, because the casting call for Sarah 101 Season 2 is just about wrapping up. Click on over HERE for all the details. As with Season 1 though, remember that "The team will consider your taste and style notes when designing your room, but you may not be consulted on the actual plan or design, so being a fan of Sarah's style is imperative". If you're ready to give total control to Sarah & her design partner Tommy, then what are you waiting for? SIGN UP! P.S. One more tidbit... at the last Canadian Design Bloggers meetup, Tommy mentioned that 'the handcuffs come off' for Season 2. So watch for more of his signature bold humour and witty Tommyisms to make an appearance on Sarah 101! 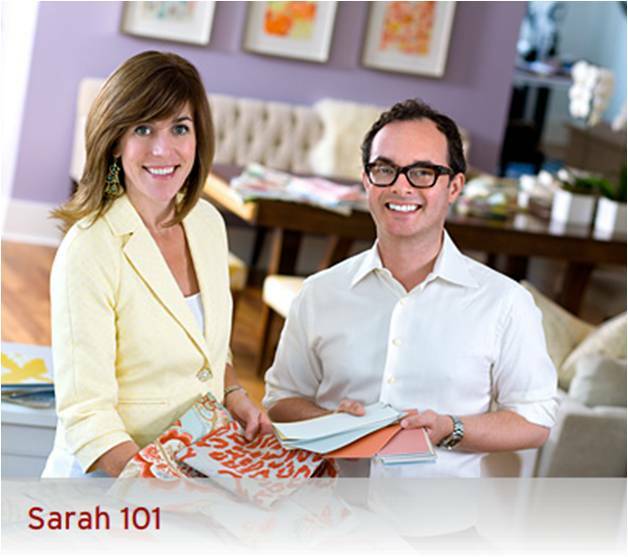 Want to see the rooms from Sarah 101 Season 1? Click HERE. Want to know what some of the homeowners really thought of their Sarah Richardson room? Read the inside scoop HERE and HERE.